Explore your opportunities and start the new career that you deserve! 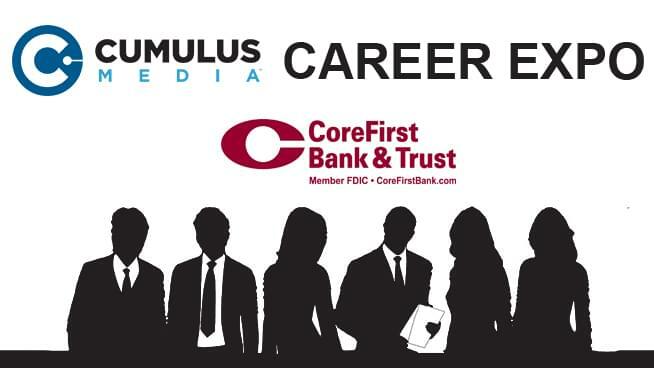 Join us Wednesday, September 19th from 1-6pm for the Cumulus Career Expo at the Kansas Expocentre. Make new connections and get in front of lots of local businesses looking to hire. It is recommended that you bring copies of your current resume and dress to impress. See you at the Career Expo! For more information on getting booth space, please contact Christina Phelps-Hinman by e-mail or phone at 785-270-0803.